Don't policemen have to pass physicals? I believe it's when they're hired, and probably every 5 years or so after that. Small towns are pretty nonchalant about it, though, from what I've seen. 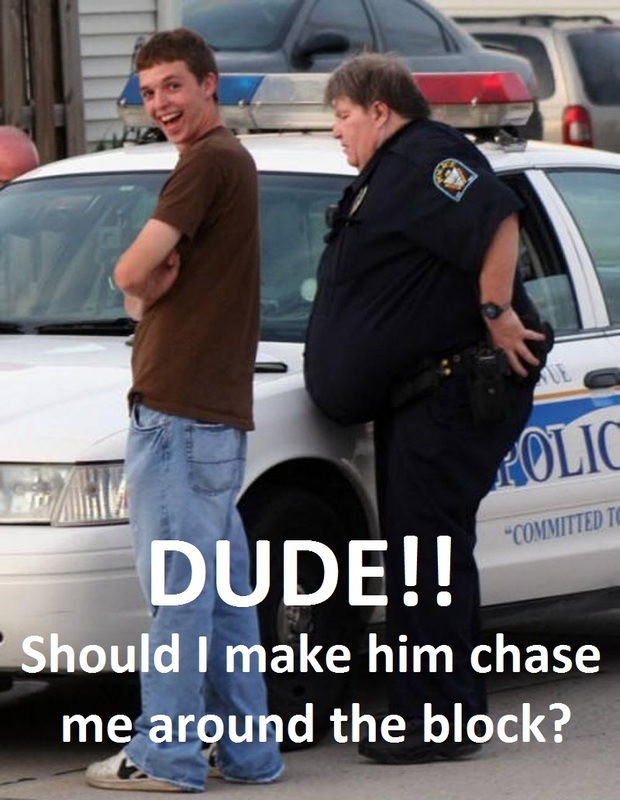 Where I grew up, it seemed like you couldn't be a cop unless you had a gravitational pull. Yes sometimes the death is chosen, sometimes they fight fight against the glowing of the foliage. I think Dylan Thomas slurred something about that sometime. I hate jokes based on dumb premises. 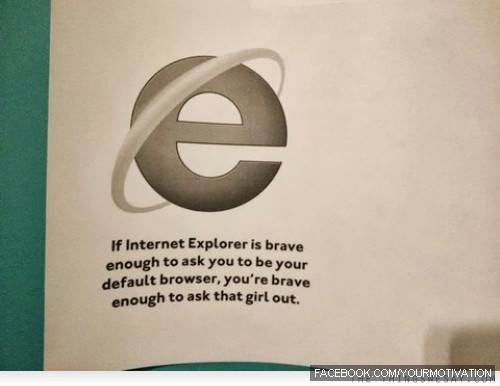 Internet Explorer isn't brave. 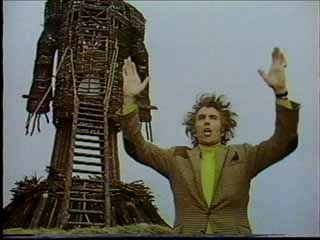 It doesn't even have free will. It's a computer program doing what it was programmed to do. Imrahil, how the hell did you hack Thifty's account and post on it? That was equally funny and infuriating.